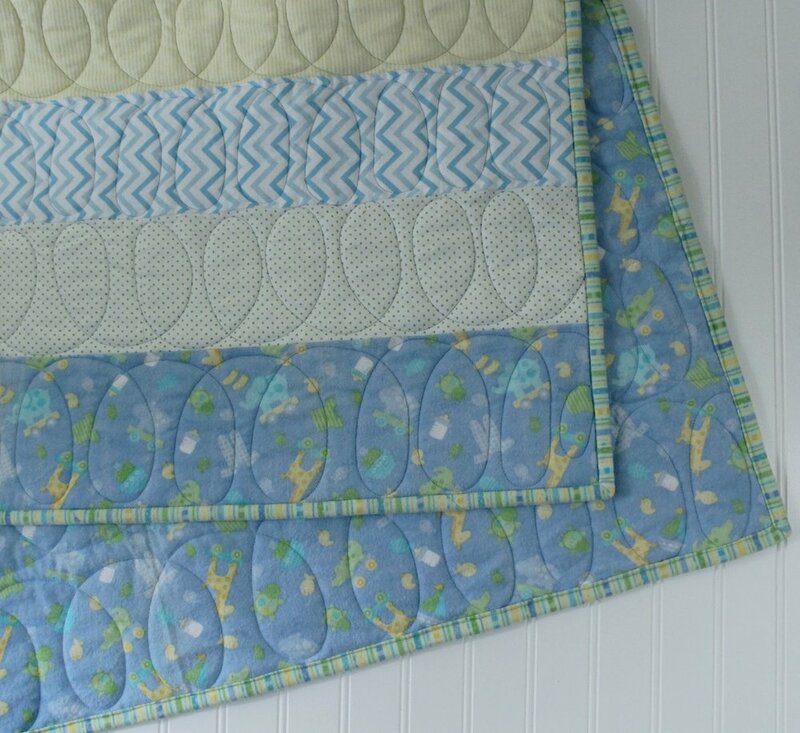 Little Boy Blue - A Finished Quilt! This week, a simple finish is all I could manage, with the Oklahoma teacher walkout and my kids home from school. It was a nearly-two-week taste of summer...which means, as always, we've got to come up with better summer plans. But at least in summer, there will be some camps and activities to keep them out of the house. But of course, then I have to drive them to those activities! Sigh. Anyway - the quilt! The main fabric and backing is from my mother-in-law. She makes all the grandkids hooded towels, and she got the blue baby fabric for the Little Man's. She did use the binding stripe around the edge of his towel, at least! And gave me a huge roll of leftover bias binding...which I could not find to finish this quilt. Maybe I'll find it for the next boy flannel quilt. The quilting is rows of alternating loops, which I've wanted to do on all these quilts, but this was the first one with wide enough strips. I really love the way the soft colors blend together. 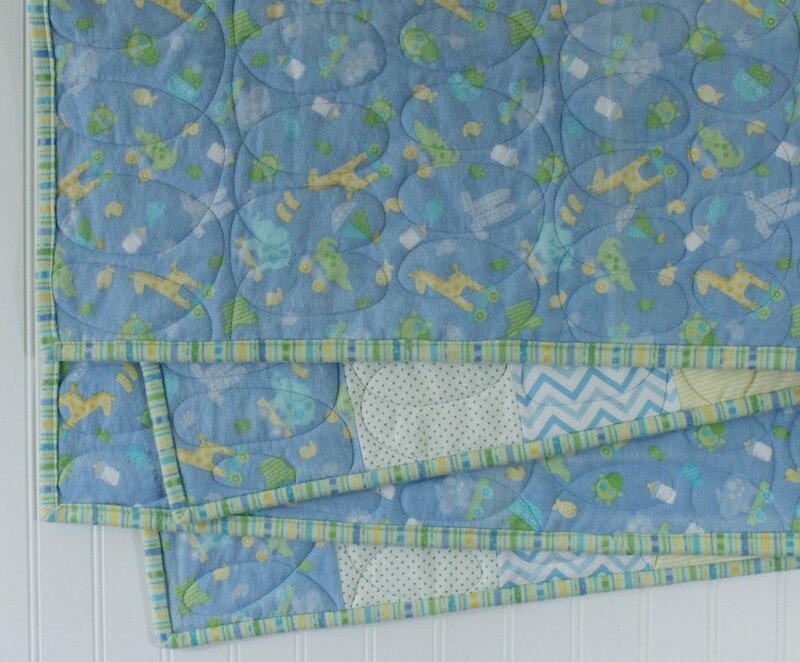 It's just a really nice baby quilt. And it's nearly four yards of flannel out of my bins, and another chunk of leftover batting!